Updated Aug. 29: Read Rep. Wolf's letter to Attorney General Eric Holder on the IICG case here. In the wake of Thursday's IPT News report on the Justice Department's handling of an investigation into a financial network with links to the Muslim Brotherhood, a prominent House lawmaker wants answers from the Obama Administration. Rep. Frank Wolf, (R-VA), chairman of the House Appropriations subcommittee overseeing the Justice Department, told the Investigative Project on Terrorism that DOJ is making a mistake by refusing to make public the details of the settlement it reached with the Islamic Investment Company of the Gulf (IICG). The Virginia lawmaker said that on Monday he will send administration officials a letter urging that all of the information about the case be made public. Wolf said that if the administration balks, he is prepared to insert language into the Justice Department appropriations conference report to force the release of all information about the settlement. "But I'm hoping it won't get to that point," he said. The IICG, which has operations on four continents and managed $1.6 billion in funds in December 2007, is a "wholly owned subsidiary" of DMI Trust, a company which has had prominent Brotherhood figures like Yusuf al-Qaradawi and Hassan al-Turabi on its board. The Wall Street Journal reported in 2007 that a DMI affiliate called Faisal Private Bank had been named in two major terror investigations. In one of these, the Justice Department alleged that the bank (then known as Faisal Finance) was used by a Saudi businessman to wire $665,000 to the account of a top Hamas official, Mousa Abu Marzouk. Another Faisal Finance client was al Qaida official Mamduh Mahmud Salim, now serving a federal prison sentence for conspiring to murder Americans. DMI and Faisal Finance have also been defendants in civil litigation brought by relatives of persons killed in the 9/11 attacks. Saudi Prince Mohamed al-Faisal, who founded DMI Trust nearly 30 years ago, remains on its board. Veteran journalist Douglas Farah wrote that in the foreword to a DMI booklet published in 1981 entitled , "Studies on Islamic Economy and Transactions," Dr. Ibrahim Mustapha Kamel wrote that DMI was founded my (sic) desire to engage a Jihad to lift the flaw on Islamic financial and economic transactions." He wrote that the author of the book "remains what he also was, a lighthouse…We are following jihad in modern times." Justice Department officials haven't denied reaching a settlement with the IICG. But they nonetheless refuse to release a copy or comment on it. 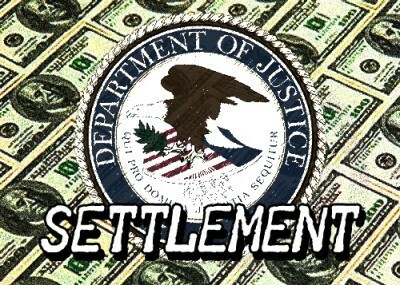 Repeated attempts to obtain the settlement – or at least a clear explanation of why it cannot be released when most government settlements are included in the public record – have been unsuccessful. On Wednesday, Justice Department spokesman Charles Miller stated that, "We will have no further comment" about the case. But in an interview with the IPT, Wolf said that response was unacceptable, particularly given a DOJ lawyer's seeming acknowledgement earlier this year that there was no need to keep the information under seal. The congressman said he was particularly troubled by the presence of Turabi on the DMI board for a decade during the 1980s and early 1990s. Wolf noted that during the period he was a director, Turabi urged Osama bin Laden to move his jihadist base to Sudan. When it comes to the modern Jihadist movement, Turabi has been part of that "since the beginning," working together for much of this time with Sudanese leader Omar Bashir, who has been indicted for war crimes by the International Criminal Court. All of the information about Turabi and his relationship with IICG needs to be made public right away, Wolf said, adding that he was puzzled by the Obama Administration's reluctance to make the information public. "Maybe they're afraid of the Saudis," he speculated. But the administration said it wanted to be the most open one in American history, Wolf said, and he plans to hold the administration to that assertion when it comes to the probe of Jihadist terror networks.